Mose "Chester" Ayers was born on March 7, 1945 to the late Calvin King Ayers and the late Freddie Mae Jordan Ayers-Garrett. He is preceded in death by his parents and a beloved step-father: Thomas Garrett and his siblings: Calvin Frederick Ayers, Mary Elizabeth Ayes-Davis and Daphne Carlisle Sheffey. In the summer of 1990, Chester confessed his belief in Christ and joined Newcomb Street Church Of Christ, where he continued his membership until his departure from life on Sunday, March 18, 2018. Chester attended the Decatur City Schools System and was a most proud and faithful graduate of the Lakeside High School C/O 1962. Many of his closet friendships were with his classmates and schoolmates, who he loved and supported all his life. 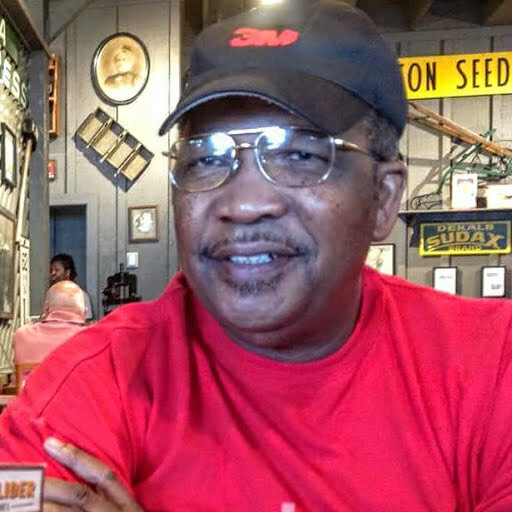 In 1962, he joined the United States Army and after 3 years of service to his country, he embarked upon his 33 years of employment with Amoco Chemicals Corp. In addition to his career as an operator and foreman for Amoco, Chester was a very active member of his community, where he was well-respected and recognized for his dedication to his civic duties and matters of social justice. As a founder of the Eagles Civic Club and a longtime member of the Board of Directors for the Eva Sterrs Boys and Girls Club, he joyfully committed his time and resources to provide the best environment and opportunities for the children in his community. Whether by blood or association, he was commonly referred to as "Uncle Chester" and his family, friends and the Decatur Community at large will cherish precious memories of his generosity, humor, compassion, his hearty laughter and incredibly beautiful smile. Chester loved all the children in his life and especially dear to his heart were His Cousin: Derrick Davidson, who he loved as a Son. His Niece: Halika Ayers, with whom he had a close and special relationship and hi beloved God-Daughter: Nikki Elliott, the apple of his eye. Blessed with many friends from many places, throughout his life, Chester held very close bond with best friends: Emory Humphrey, Charlie Elliott, Lester Morris, Sr., Eugene Cohn and James Webster. He is preceded in death by his best friend and Brother-In-Law: James Edward Cater. in most recent years, throughout his illness, he was blessed with the care and support of Ms. Jackie Harris and Ms. Rosalyn Jackson. The memory of Mose Chester Ayers will forever be in our hearts and he will be missed dearly by his Loving Wife of 52 years: Bernice Cater-Ayers. His Beloved Children: Cala Rashaun Jarmon of Nshville, Tn. Jeffery Lynn Ayers of Decatur, Al. Yolanda Katriece Jarmon of Nashville, Tn. Hope Michelle Ayers of Atlanta, Ga. Chester Maurice Ayers of Decatur, Al. 11 Grandchildren who were all the delight of his world: Dante, Deshaun, Brittney, Dena, Devonte, Jeffery, Jr., J'Lynn. Desire, Chelsea, Myles and Jacob. 8 Great-Grandchildren. Siblings: Brenda Ayers of Decatur, Al. Carolyn Ayers of Huntsville, Al. Roderick (Carolyn) Ayers of Decatur, Al. 1 Brother-In-Law who was a lifelong friend: Rev. Joe Homer(Pat) Cater. 3 Sisters-In-Law: Ruth (Sammy) Lee Tipton, Ga. Dr. Joyce (Dr. Edward) Irons of Atlanta, Ga. Barbara Small of Smyrna, Ga. 2 Cousins who were as cloe as sisters: Doris Davidson-Jones and Joyce May of Birmingham, Al. A host of nieces, nephews other relatives and friends. In Memoriam Appreciation... We Do not take it lightly that you have entrusted your loved one to u. We are confident and sincerely pray that our services have been satisfactory and comforting. We pray GOD bestows a blessing on each of you.... Most Respectfully, Sharpley Funeral Home. The Ayers Family would like to thank God for the life of Mose Chester Ayers, which was shared with so many loved ones and friends. We extend our heartfelt gratitude to you all for your prayers, kind words and expressions of sympathy. For anything you have done, great or small, we truly thank you, one and all. Under the directing of Sharpley Funeral Home. Funeral will be held Sunday, March 25, 2018 at 3:00pm at First Missionary Baptist Church (located at 233 Vine St. NW. Decatur, Alabama 35601). Burial in Calvary Memorial Gardens. The body will be in church 1 hr. before the services.